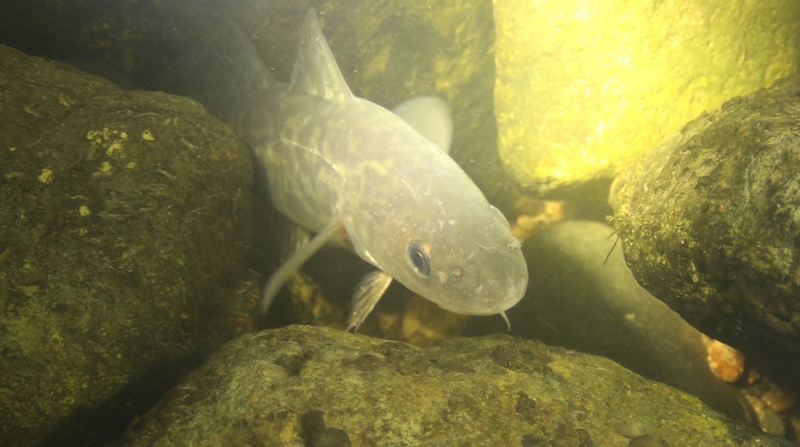 For the first time in more than half a century, tomcod have returned to Smelt Brook in Sullivan, Maine. The reason? Last year, the Downeast Salmon Federation (DSF) removed the 50-year-old dam that had long prevented fish migration, and which kept nutrients from flowing into Smelt Cove at the head of Frenchman Bay. The mission of DSF is to conserve wild Atlantic salmon and its habitat, restore a viable sports fishery and protect other important river, scenic, recreational, and ecological resources in eastern Maine. DSF has transformed two blighted buildings into conservation hatcheries, fisheries research facilities, and education centers and it was also instrumental in removing dams on the Pleasant and East Machias Rivers. For its success in removing the East Machias Dam, DSF received the National Coastal America Partnership Award. Around New Year’s Day of 2018, the Downeast Salmon Federation purchased the property surrounding Smelt Brook with help from the Maine Natural Resource Conservation Program and other groups and individuals who chipped-in time and funds. In the spring, classes from Sumner High School came down to survey the pond for brook trout—with fly rods and barbless hooks—and the kids pulled a few of the first stones from the top of the dam. DSF Habitat Restoration Project Manager, Shri Verrill, facilitated permitting, drew up a restoration plan, and supervised the dam removal, fish passage, and restoration of the salt marsh in September. For half a century, sediment and nutrients were impounded behind the dam. “There was about two feet of muck at the bottom of the pond. After we dewatered it, I got myself pretty well stuck in the muck while rescuing some remnant fish and amphibians,” says Verrill. Once the excavator, bulldozers, and dump trucks took out the dam and Smelt Brook ran freely into Smelt Cove, the stream—helped by rain and high tides–cut through the sediment and exposed gravel bars as far as 150 feet upstream from the old dam. Late at night in the dark and cold of December and early January, tomcod swam under the ice and into the cove. They swam over the old dam site and for the first time in 50 years they found gravel at the head of tide where they laid their eggs. DSF is a regional hub, catalyst, and leader engaging local communities, partners, and an array of allies on two key fronts: 1) habitat conservation and stock replenishment, and 2) regional education and activism. DSF has permanently protected more than 3,200 acres and 31 miles of riparian properties; coordinated numerous in-stream and buffer restoration projects; created and maintained two world-class conservation hatcheries and salmon stocking programs; and guided advocacy, education, and outreach on sustainable fisheries, communities, and the economy. Ciccotelli brought photographer and author Keith Williams of Freshwater Journeys to document fish runs in streams Downeast and Keith caught the above photo of Microgadus tomcod. The returning fish bring great joy to those who worked to undo a half-century-old engineering mistake. Photo by Keith Williams / Freshwater Journeys. See Downeast Salmon Federation website.